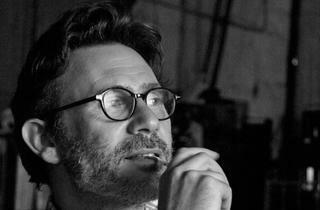 We talk silent cinema and Hollywood dreams with the director of The Artist. Who could have guessed that one of the season’s Oscar front-runners would come courtesy of the filmmaker-star team behind those French spy spoofs, the OSS films? Director Michel Hazanavicius reteams with leading man Jean Dujardin for The Artist, which contrasts the meteoric rise of an early-talkie-era starlet (Bérénice Bejo) with the heavy fall of a dashing silent-movie star (Dujardin). The gimmick is that, with the exception of a couple of brief scenes, this affectionate tribute to silent film is itself a silent film. 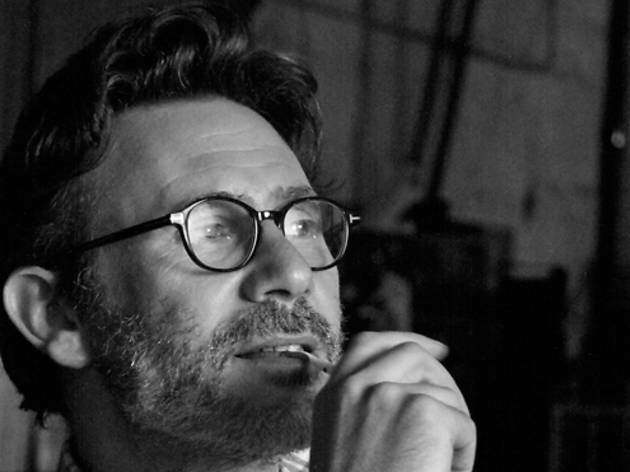 We sat down with Hazanavicius, 44, in November to talk about the language of silent movies, the global reach of Hollywood cinema and the incomparable brilliance of Bernard Herrmann. What about the challenges of silent filmmaking appealed to you? I always loved silent movies. I was not a specialist, but I loved them. And when I started directing, I became really fascinated by the format—how it works, the device of the silent movie. It’s not the same form of expression as a talkie. The lack of sounds makes you participate in the storytelling. Silent films have their own language, too. Was that something you had to acclimate your actors to? For me, the most challenging part was the writing. It’s about storytelling. The story is told through images. So with the cast, I had to make sure that the emotions were readable without sound.… I know some great actors, if you turn off the sound, you don’t really know what they’re saying. Did your actors study the greats of the silent era? I didn’t ask them to ape the acting styles of the ’20s. I asked them to behave naturally. I think people mix up two things. They think people were acting in a specific way because of the silent format. I think people were acting that way because it was the ’20s. When you look at the early-’30s movies, like King Kong, the codes of acting are very similar to those of silent movies. In some of the silent movies—the good ones, the ones done by the best directors—the acting is very, very natural. Look at The Crowd, for example, King Vidor’s movie. The acting is very natural. If you look at Murnau’s movies, the acting is very natural. It’s about the ’20s, it’s not about silence. The character of George Valentin is clearly based in part on Rudolph Valentino, the Italian matinee idol. Were there other inspirations? There’s a little bit of Douglas Fairbanks, a little bit of John Gilbert, a little bit of Fred Astaire. There’s French actor Max Linder, who Charlie Chaplin adored. Did you grow up watching Hollywood movies? Yes. As the entire planet did, with the exception of…I don’t know, Libya? Sure, I watched a lot of Hollywood movies. Maybe I’ve seen more Hollywood movies than French movies. Hollywood has been eulogizing the silent-film star almost as long as there have been talkies. Do you feel like your status as a Hollywood outsider, as someone who grew up outside of America, gives you a different perspective on the subject? I think being a foreigner and talking about Hollywood allowed me to use some clichés and some references that an American would maybe not use. I remember when we were shooting, a member of the crew said to me, “This is such an American shot. Only a foreigner can do it.” Nobody would dare to do it [in America]. But I don’t think of myself as a foreigner or a Frenchman! I just think of myself as a director. Whether I’m French or Australian or whatever, it’s really not important. Hollywood is much more than America. Hollywood belongs to all of the planet. On set, you would sometimes play music from Hollywood melodramas to put the cast and crew in the right mind-set. You use the Vertigo score in the movie. The last movement of the movie is Vertigo. Almost seven minutes. I hated it a little bit, because some people would know the music and go, “Hey, it’s Vertigo. What’s that doing here?” But I think after a short time they accept it. First of all, the theme is incredibly beautiful. It’s one of the most beautiful themes ever written. Bernard Herrmann was a genius, a great, great composer. That’s the main reason—the theme is wonderful. But also that part of the movie, that movement, was very specific. It’s the finale. Music is here to help the actors, to give the audience the emotional structure of every sequence. The Vertigo theme worked perfectly. The Artist is a silent film about the silent-film industry. Does that kind of meta framework help audiences accept the notion that they’re watching a silent movie today? Yes, absolutely. That’s exactly the reason that I wrote that script. My first attraction was the format. I had some options. At one time, I had an idea involving a Gypsy circus because it was cheap to do and fit the format. At one moment, I wanted to do The Invisible Man, which was really stupid. A character that you can’t hear and you can’t see? That’s too much. The opening sequence, the movie you see playing at the beginning, was another option. An adventure spy movie. But I was talking to people—not only producers but also friends—about my desire to do a silent movie. I realized that people need justification, always. That’s why I chose that specific story, just to say, “The subject is a silent actor.” In a way it’s simple, but it makes sense. People accept it. The Artist opens December 23.